Pastry consists of a rich dough that usually contains flour, water, fat and sometimes sugar. This dough can either make up the base or covering of a baked item such as in croissants, danishes, turnovers and puff pastry. A higher ratio of fat to water makes pastry dough less airy and more dense in relation to other doughs such as bread dough. 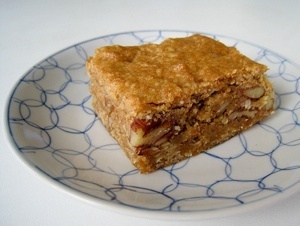 Vegan pastry recipes commonly utilize solid fats that contribute to flakiness instead of butter and egg replacers such as starches instead of eggs. 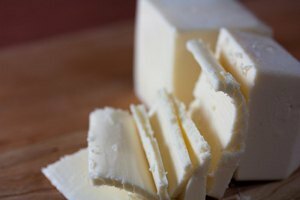 Recently I incorporated kimchi into vegan butter for an increased depth of flavor. The kimchi flavor was less apparent but the butter had a complex flavor unlike anything I’ve tasted. What if I made a puff pastry out of Kimchi Vegan Butter that was designed to deliver a one-two punch of flaky butteriness and savory flavors that even the most die hard meat eaters would love? 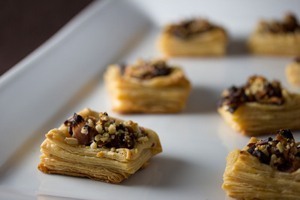 The result is Kimchi Puff Pastry with Shiitake Mushrooms and Toasted Pine Nuts. This recipe may look a little daunting but it’s easy if you split it into several nights and refrigerate it as you go. I usually make the Kimchi Vegan Butter and mushrooms one night, prepare the puff pastry and give it a turn or two on the second night and prepare and bake them on the third night. 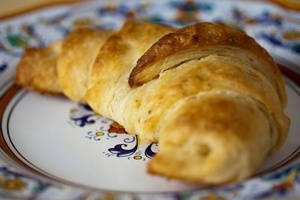 Apple Turnovers are perhaps one of the rare baked treats that suit the season any time of year. Perhaps the sweet, gooey apple paired with buttery, flaky puff pastry being one of the ultimate flavor combinations is why. 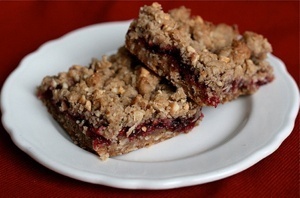 This vegan treat would hit the spot on a cold winter morning, a hot summer day, or as a midnight snack. Put leftovers in the toaster oven for a few minutes to make them taste like they just came out of the oven. For the ultimate dessert, top it with some Vegan Vanilla Ice Cream and Vegan Caramel Sauce. 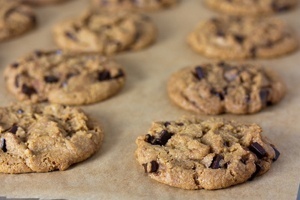 I'm obsessed with vegan baking because unlike traditional cooking, there are nearly no limits or boundaries to creating completely new forms of food. 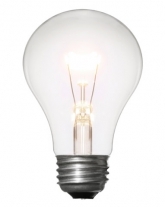 Effectively harnessing your imagination is the only truly required skill. Developing this skill, as well as understanding the fundamentals of baking allows you to create true art forms. Then you get to eat them. 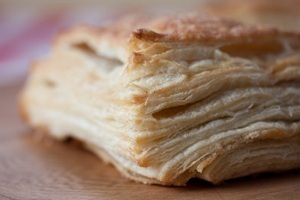 Puff pastry is a truly remarkable building block for vegan baking because of its versatility. It can be the basis of anything from flaky layers enveloping fruit, coiled into rolls such as sticky buns, or twirled into cinnamon and sugar twists. 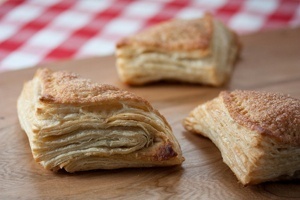 Referred to in France as pâte feuilletée which means pastry made leaf-like, puff pastry is made of several hundred alternating layers of dough and fat. The water in the dough produces steam during baking that separates and lifts the layers into the puffy goodness that we know and love. This steam-assisted lift is known as chemical leavening. Puff pastry often gets a bad rap due to the many steps of preparation involved. Puff pastry can be a truly time intensive endeavor- if you let it. I recommend splitting the preparation into little pieces and working at it a little bit at a time over a few days. This way you'll only spend a total of about an hour on it. You also have the option of making your puff pastry and storing it in the freezer for a special occasion or for that day when you can no longer resist some sticky caramel cinnamon buns. The only thing I like better than flaky, buttery, vegan croissants is flaky, buttery, vegan croissants wrapped around just the right amount of chopped dark chocolate so that it barely oozes out the sides as it's baked to perfection. In these chocolate croissants, also known as Pain au Chocolat, I used chocolate croissant dough which is made by mixing a little sugar and cocoa powder into the fat block that forms the base of the croissant dough. The result is hundreds of layers of chocolate buttery heaven; an exquisite pastry that elevates chocolate to a whole different level. 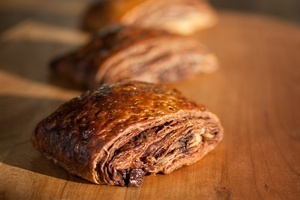 Be sure to use dark chocolate that is 60% cacao to achieve optimum balance between bittersweet chocolate and the buttery notes of the croissant dough. “What's an apple cider doughnut?”, I asked at my recipe club meeting. I think my friends were as surprised as I was that I didn't know of it's existence, let alone any vegan versions. Come to find out, I've learned that many other West Coast (USA) natives are unaware of this cake doughnut that's infused with a hint of apples. 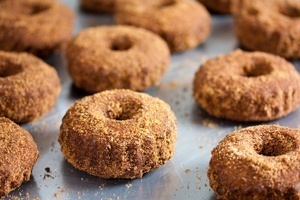 This is because apple cider doughnuts are mainly a Northeast (USA) phenomenon. In colonial times, doughnuts were served during the Fall months in the Northeast when exotic dough recipes for beignets, imported from France and Holland, started to evolve and the seasonal butchering provided enough fat to fry things. Combine this with the apple harvest being at its peak in the Fall and you have a food collision course in the making. This Vegan Pumpkin Cinnamon Roll recipe takes every opportunity to pack itself with pumpkin and then become enhanced with a delicate balance of cinnamon, nutmeg, cardamom and cloves. 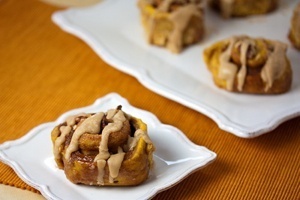 Barley malt syrup can be a little tough to find but it's an essential flavor booster that puts the pump in pumpkin for these vegan cinnamon rolls. Rum Spice Icing is literally icing on the cake. Pop tarts are one of the easiest ways to pair fruit with flaky pastry goodness. 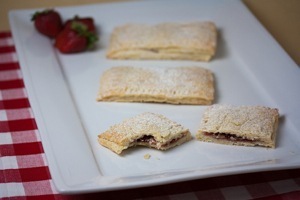 This Vegan Strawberry Pop Tart recipe can be customized with whatever fruit preserves you have on hand. You can also fill them with things like chocolate; maple sugar and cinnamon; bananas and coconut, the possibilities are endless! Heck, you can even fill them with savory stuff like caramelized onions, mushrooms and potatoes. I won't judge. 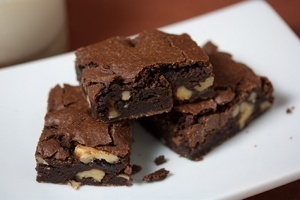 Just be sure to keep the filling under 2 teaspoons so they don't push out the sides during baking. The pastry is based on Flaky Pie Crust and features just the right ratio of Vegan Butter or margarine to shortening for the flakiest, most flavorful crust around. Strudel is one of those treats that everyone loves. If I met someone who was anti-strudel I'd back away if I were you. Strudel has origins in Austria and Hungary dating back to the late seventeenth century. Traditional Austrian strudel is not made with phyllo dough or puff pastry but with a thin dough with a high gluten content that gives it elasticity. 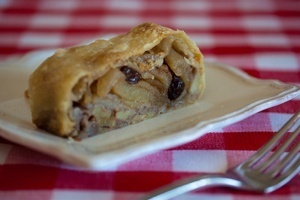 Traditionally, strudel can be filled with cherries, apples, spinach, sauerkraut or cheese. This Vegan Apple Strudel recipe features apples picked fresh from an apple orchard in Pennsylvania and is enhanced with rum, raisins, cinnamon, nutmeg and allspice. Churros are so good and such a rare treat that it's always a sign of good luck to actually find them. Traditionally they're made with eggs so vegan churros are an even more rare find. This Vegan Churro recipe features sugar and cinnamon for churriffic flavor and flax as the primary binder. It's important to use the biggest pastry bag star tip you can find and to go easy on the frying until they're just barely golden brown so they're not too crisp. A candy thermometer is crucial for best results. 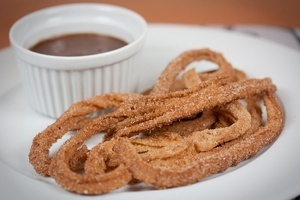 Enjoy these churros with Churro Chocolate Sauce that's enhanced with the creaminess of non-dairy milk and just a pinch of cayenne. This Sticky Vegan Cinnamon Roll recipe features brown sugar, maple syrup and just the right amount of cinnamon, making them moist and chewy. 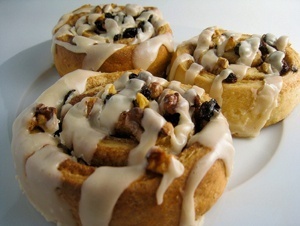 And if that's not enough, these vegan cinnamon rolls are topped with walnuts, raisins then drizzled with icing to make them an irresistible treat any time of day. I thought I didn't like scones until my friend Debbie told me I just hadn't had the right scones. She explained to me that good scones feature a complex flavor and a dense, not too crumbly texture. I then began my journey to create vegan scones based on the teachings of this scone-ophile. 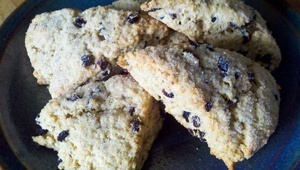 The result is this Scrumptious Vegan Scones recipe. 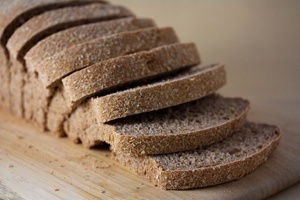 I used golden flax meal for it's binding abilities, apple cider vinegar for its subtle flavor complexity and ability to enhance crumb, just the right combination of all-purpose flour and whole wheat flour and Vegan Butter to enhance buttery flavors. 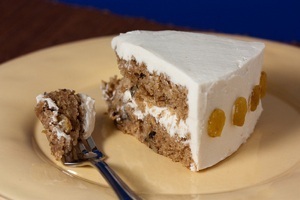 Finally, raisins or berries adds just the right amount of fruit flavor and sweetness while still allowing the rich, buttery flavors to come through. I'm now a self-described sconeophile and enjoy eating scones amongst other sconerati.